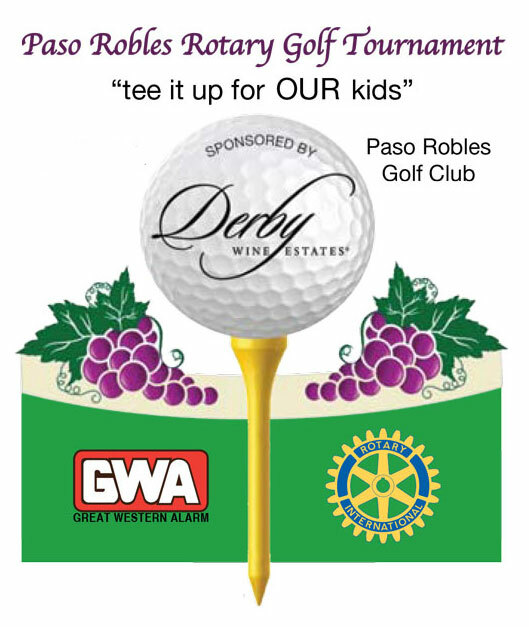 For 27 years the Paso Robles Rotary Club has organized this special event sponsored by Derby Wine Estates. Over the last three years we raised over $100,000 for ‘OUR’ kids in Paso Robles. All of the proceeds are donated to organizations that support the children of Paso Robles. We wrote checks to the Boys and Girls club, CASA, Youth Arts Foundation, Children’s Museum, Boy Scouts, Morning Star Youth Ranch, Youth Soccer, Youth Works and SKILLS USA. The big reason we’ve raised over $100,000 has been the success of the reception and silent auction event held the night before the tournament. This year the silent auction event will be held on the patio of Eberle Winery. We are reaching out to you to ask for a silent auction donation. The auction has worked well in the past because we have some great vacation and golf packages, amusement parks tickets, fine dining and many other wonderful things. We are going to experiment with an additional online auction to feature several of the higher end donations. Our event is expected to draw over 120 players and participating businesses. There are several levels of sponsorship; Event sponsors, Business Partner, Tee Sponsors and a Silent Auction Donor. In addition to the Golf tournament on June 8th, Rotary Club of Paso Robles holds a corresponding reception on Friday night, June 7th, on the patio at Eberle Winery 5:30-8 pm. We sincerely thank you in advance for your generous support, which helps all our wonderful community and its youth programs. Tax ID# 77-0178513.